We realize how difficult it is purchase any automobile over the internet from a classic car dealer or private party on the other side of the country. Is the engine original? Are all the vehicle identification numbers where they should be? 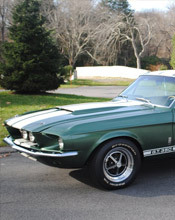 At Cape Cod Mustang we've sent over a hundred GT 350's and GT 500's to happy buyers all around the world. We offer an inspection service and can be very helpful with transportation details. 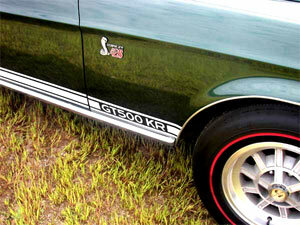 We can inspect the Shelby, handle all financial details and take physical possession of the vehicle for safe keeping. We've sent numerous Shelby's to Australia, Italy, New Zealand and all over Europe. Contact us before you drive to the bank and send a stranger you're life savings! Finally, we work side by side with the Shelby American Automobile Club and have supported their efforts to keep Mr. Shelby's automobiles and contribution to the automotive industry in the public eye. We are also members of Team Shelby, Mr. Shelby's new and exciting automobile club that has focused their efforts on the new Shelby Mustangs of the 21st Century.